NCR Silver, a provider of cloud-based, mobile point-of-sale systems, has more than 13,000 customers in the restaurant space, and most of them received support only via phone until 2014, when everything changed. 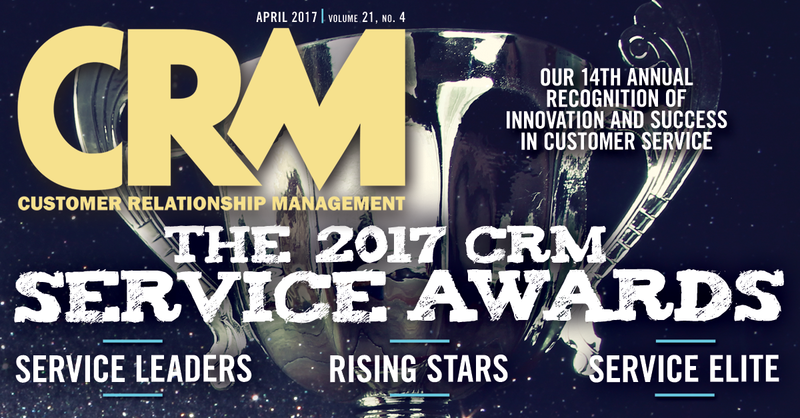 That year Logan Pounders, NCR Silver’s manager of support and services, went to Salesforce.com’s Dreamforce conference, and than a month later, the company’s customer service strategy shifted significantly. Pounders watched a demo of a chat support tool available through Salesforce’s Service Cloud, and though he had low expectations, he decided to “give it a try,” he says. Fast-forward to 2017, and the product—which has since evolved into Salesforce’s new LiveMessage for Service Cloud—is now an invaluable component of NCR Silver’s customer service infrastructure. “We were really in uncharted waters back then,” Pounders says. “When we introduced chat as a customer service channel, we did basically zero marketing. We added a chat box on our support page, but that was it. And then surprisingly, on day one, 26 percent of customer service inquiries were made through chat,” he adds. Seeing how well chat was working, Pounders added customer support via text less than a year later. His company implemented Heywire, a customer service text messaging app that was available through the Salesforce App Exchange at the time. “Our aim was to have roughly 5 percent of contacts come in through text. When we exited the pilot program, we saw twice as many—10 percent of our contacts came in through text. We were incredibly impressed,” he says. In late 2016, Pounders and his team made the leap to LiveMessage, a Salesforce Service Cloud product that combines technology Salesforce gained in its acquisition of HeyWire, which it announced in September, with a breadth of other mobile and social messaging tools. “We use it to facilitate Facebook Two-Way Messenger for social support, and it’s a solution that we love,” Pounders says. With Salesforce LiveMessage for Service Cloud, NCR Silver has saved more than 50 percent on the cost of voice calls and reduced the cost per contact from $30 to $9.45. The improved efficiency has also enabled NCR to grow by a staggering 218 percent with no additional staffing, and has reduced the average time needed to resolve cases by almost 20 hours. One of Pounders’s favorite LiveMessage features is its integration with the Salesforce Social Studio. When someone mentions NCR Silver on social media, the @ mention is fed into the Service Cloud, which triggers a LiveMessage alert that customer service agents can then handle. “LiveMessage has given our agents the ability to hypertask. They could be working on one issue, and switch over to another issue if they get an alert. It has helped us be more successful in our multichannel engagements,” Pounders says. This year, Pounders is eager to see how Salesforce will integrate its new Einstein artificial intelligence (AI) technology into its LiveMessage platform. As more companies experiment with chatbots on Facebook Messenger and other engagement channels, Pounders expects AI to soon play a part in NCR Silver’s customer service strategy as well. “Everyone is talking about AI right now. It’s still early for chatbots, but there’s no doubt that this is a direction that customer service may head in,” he says. a 20-hour reduction in average case resolution time.